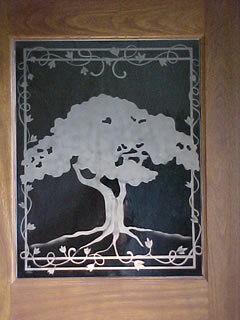 Tampa master carpenter Don A. Sigel along with glass artist Juanita Lowery designs elegant double entry doorways for homes and businesses in the Tampa area and across central Florida. 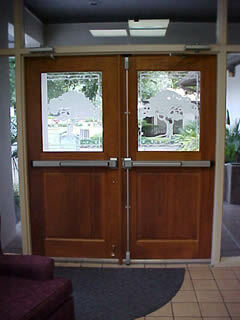 Entry doors are the first thing visitors to your office, law firm or business see when they’re approaching your building. 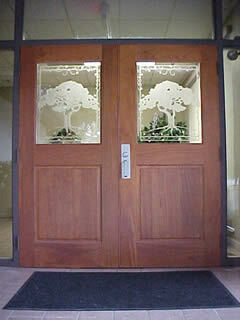 Ordinary drab doors like those pictured below give a “blah” feeling to a place while a custom designed door by DAS Studio will liven up your place and brighten your day and anyone who walks into your home or business. Florida double door remodeling experts at DAS Studio have over two decades of experience in customizing homes and offices in central Florida. 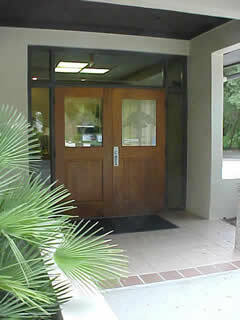 See some of our previous work for a well-established Tampa apartment complex office below. Have any questions or like a free estimate, contact Florida master carpenter Don A. Sigel at DAS Studios today! 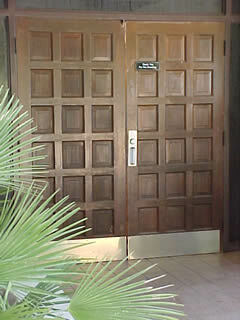 Beautifully handcrafted Brazilian oak doors were specially created for the front entrance of a well established condominium complex in North Tampa. 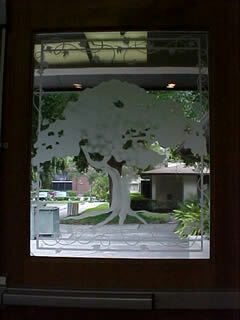 Elegantly sandblasted trees incorporate the condo logo and are accented by a delicate ivy leaf border. 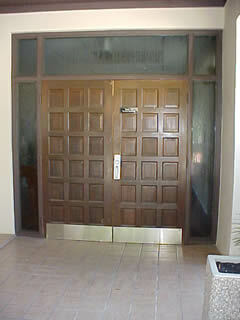 DAS Studio's infamous glass artist, Juanita Lowery, designed the artwork on this double door.